The Meltemi line consists of a complete assortment of matte finish opal cased-glass lighting fixtures in timeless architectrual forms. The triplex casing insures an even, luminous appearance. 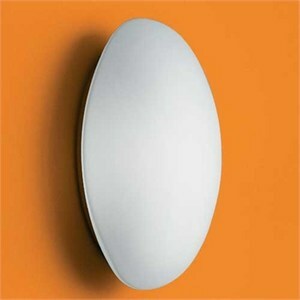 The Oval fixture is a pleasant and distinctive luminous form with regressed metal blackplate. It may be used on walls or ceilings.